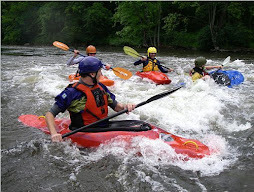 Members of Ann Arbor's Parks Advisory Commission received a presentation about whitewater kayaking on Tuesday, October 21st. 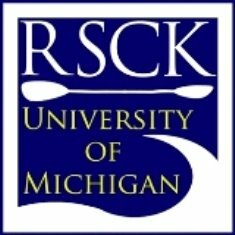 A brief slideshow incorporated information from local whitewater paddling organizations and clubs, including the Raw Strength & Courage Kayakers at the University of Michigan's Recreational Sports Program. 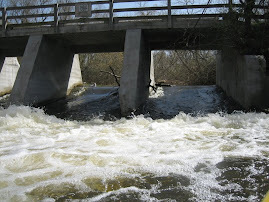 The purpose of the presentation was to share the history of whitewater kayaking in lower Michigan, highlight the existing whitewater resources of the region, and encourage city planners to explore new opportunities for whitewater on the Huron River.